Looking for a family break away from the hustle and bustle? Give Quarteira in Portugal a try. Becoming more and more popular since the 1990s, this former fishing village has flourished in recent times due to its beauty and great weather. Nowadays holidaymakers return year on year to holidays in Quarteira due to the entertainment, landscape, nightlife and sunshine it offers. Holidaymakers are drawn to the Algarve for the fine weather, especially in summer when the climate is hot and dry. Although summer is the most popular time for holidays in Quarteira, winters are mild meaning visitors still continue to arrive in the Algarve once the hugh season has ended, desparate to escape harsher winter climates elsewhere. No matter what time you visit you can always enjoy the splendour of an outdoor lifestyle. For shopping, explore the craft shops and boutiques, where unique items make great souvenirs of Quarteira holidays. 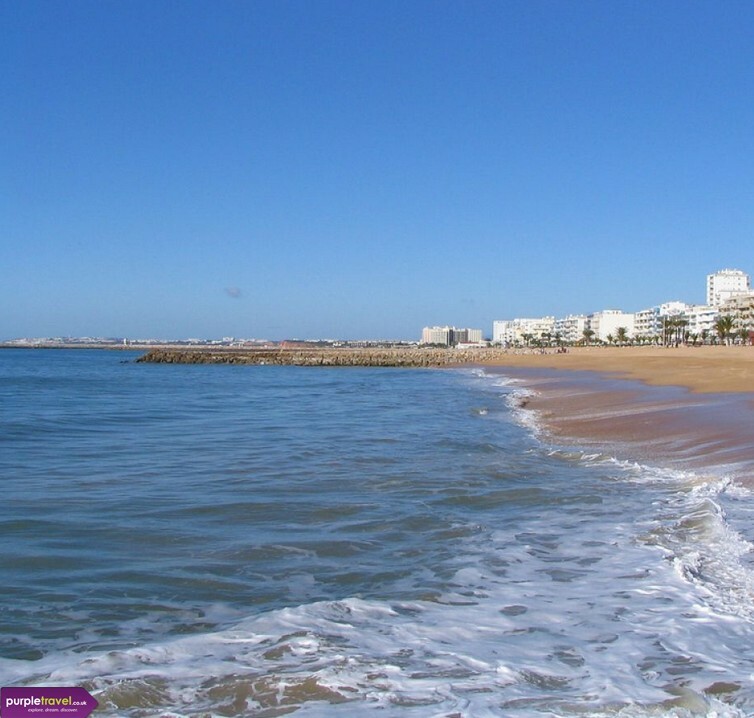 Holidays in Quarteira means you can also get the chance to check out neighbouring towns and villaghes such as Vilamoura that has a beautiful marina and roman ruins. If you want to see some traditional Portuguese architecture then make sure to make a visit to Loule, home to a castle and some interesting architecture. Evening entertainment on holidays in Quarteira is varied, with a great choice of bars, restaurants and nightclubs, so you can be sure to let your hair down. No holiday would be complete without some days on the beach and the beach at Quarteira is one of the longest in the Algarve . Lined with palm trees and bars and restaurants, the beach has plenty of room for tourists to spread out and relax on. So if you are looking for beautiful beaches, great amenities and facilities in beautiful surroundings then Quarteira holidays could be for you. Purple Travel offers holidaymakers brilliant deals on Quarteira holidays so call us today to get yopur holiday quote. Very quiet, but that was a good thing. We had a very enjoyable stay in Quarteira, very quiet, simple place, couple of cafes, not much entertainment or anthing. Beach was good, clean with lots of loungers. A few restaurants and Vilamoura is close for anything else you might need. Clorse to vilamoura, you can hop on the tourist train to go between the two. Better beach in vilamoura too, nice sdhops and restaurants and aquapark in between the two. But to be honesy i would say sty in vilamoura instead. was boring, i wouldn't recommend, lots of stuff closed and not a lot going for it.